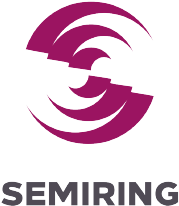 Semiring develops innovative technologies for the legal domain. Our team is focused on helping legal professionals improve their work through AI, NLP and semantic technologies. Damir Cavar has more than 20 years of experience in speech and language processing (NLP) and software engineering. He specializes on natural language resources (corpora, lexicons, models, grammars), machine learning, machine translation, and AI applications. He worked in various research labs in Europe and in the United States focusing Natural Language Technologies, Artificial Intelligence, as well as knowledge based systems and Knowledge Representations. He has experience as an entrepreneur launching IT and technology businesses. Stefan has a degree in Linguistics and Computer Science from the University of Erlangen-Nürnberg in Germany. He then joined the IBM Scientific Center in Heidelberg to work on Natural Language Understanding with the Verbmobil Project. In 2000 he co-founded the text mining and NLP startup TEMIS and acted as the managing director of its german branch from 2000 until 2018. In 2016 TEMIS, counting a staff of approx 65, was acquired by Expert System. Stefan throughout his time at TEMIS initiated and led many TEMIS projects technically as well as conceptually. Stefan is a frequent speaker at industry conferences. Joshua Herring is an entrepreneur with over 10 years experience in the software industry. Previous projects have included a commercial online API for real-time scheduling, language instruction software, secure online video streaming services and contract agreement platforms. Matt’s research and experience in the legal field led to his interest in the intersection of law and technology. Finding and addressing bottlenecks in industry processes guide his involvement in Semiring’s technological applications. He earned his BA in International Studies and Spanish in 2015 and is currently a third year J.D. candidate at IU Maurer School of Law. Malgorzata Cavar is a linguist with more than 15 years of research experience in spoken language data and models of articulation and perception, that is phonology, phonetics. She is an expert in language resources, in particular audio and speech corpora. Her main focus lies on speech processing and experimental analysis of speech production. She has entrepeneurial experience in Europe and in the United States, launching IT and technology businesses. Anthony Meyer is a computational linguist with special expertise in morphology. During the course of his PhD research, he has become well-acquainted with neural networks, auto-encoders, algorithm optimization, and GPU programming. His most recent project includes knowledge extraction from unstructured text and the use of description logic and knowledge representation frameworks. Jacob is a linguist with a background in phonetics, phonology, sociolinguistics, and the documentation and preservation of the indigenous Mexican language Chatino. He is a self-taught programmer with interest in knowledge representations and information extraction from unstructured text. In 2016 he completed a BA with triple majors in Anthropology, International Studies, and Spanish Linguistics.